Have you stumbled upon Allura siding in your search for a fiber cement product for your house? Perhaps you have never heard of it, and this is because when it comes to fiber cement siding, Hardie Plank is a default choice in the minds of many homeowners and contractors. However, it is certainly not the ONLY and not necessarily the best choice. Allura USA is a premium fiber cement siding brand, that offers high quality products, with an abundance of profile, texture and color options. Today, many builders of luxury homes and condos prefer the curb appeal and durability of Allura siding over Hardie. Lets take a close look at the costs, as well as pros and cons of Allura fiber cement siding. How Much Does Allura Siding Cost? On average, home owners across the US spend about $5.50-10 on materials and installation of Allura siding. Overall, these prices are comparable to James Hardie prices. When it comes to installation, Allura is a little cheaper than Hardie, because it is easier and faster to install. The planks also don’t crack or break as much, so installation can be about 15-20% cheaper than Hardie. On the other hand, Allura siding materials, accessories and trim are actually more expensive than similar products from James Hardie. Moreover, there are a number of Allura premium plank colors and shingle profiles that Hardie simply does not have. These products are used in high end construction and remodel projects and cost more. Here is comparative chart of materials prices. At the end, however, the total cost of siding replacement for both brands comes out to be about the same. You can use our Siding Calculator to quickly estimate the cost of your siding project, using different materials. Compared to the competitors, Allura’s advanced formula makes for a more durable finish. The company made this improvement by partnering with PPG Paints, and industry leader for over 30 years in factory applied finishes. As a result of this collaboration, Allura offers a proprietary ColorMax® Finishing System. It is especially formulated not only to provide superior protection against the elements but to also offer a pallet of designer colors that you will not find anywhere else. Machine applied coats of ColorMax color provide consistent coverage on all surfaces: planks, shakes, shingles, architectural panels, and trim. At the end, each piece of siding is sealed for maximum resistance to inclement weather and different types of exterior impact. This sealant actually penetrates into the boards and bonds with the fiber cement material, protecting it from moisture infiltration. The sealant also bonds better with paint, providing a longer lasting finish. This proprietary finish technology is a major reason why builders of high-end homes and luxury properties prefer Allura fiber cement siding. Today, Allura offers an unbeatable range of stunning color choices, that even Hardie can not compete with. All together, Allura offers ColorMax 22 solid and 6 stain colors that feature an advanced paint technology for optimum protection. The siding is pre-primed and sealed for painting after install. You know that the quality and durability of these colors is exceptional when Allura siding graces the buildings of Nasa, White House and Goodyear Tires, among many others. Unlike most other fiber cement brands that don’t have stain options for siding, Allura offers an impressive array of choices. There are even semi-transparent wood stains available. Allura came up with an innovative technology that drastically improved the aesthetics and durability of its architectural panel line. Called ez.lock, the system enables the panels to be installed more quickly and easily than competitor brands. There are also no visible fasteners, which dramatically improves curb appeal. Moreover, the system raises Allura panels up and away from draining water channels to avoid water damage. Allura is committed to its product quality, which is why the company offers the best warranty in the fiber cement siding industry. You get 50 year limited transferable product warranty. ColorMax Solid Colors and Stains have a 15-year limited coating warranty. By contrast, James Hardie offers a 30 year limited warranty on their siding products. If you are conscious about leaving a small environmental footprint from your home improvement projects, you will appreciate that Allura siding is a green material. Allura uses 30% recycled fly ash as a binder in its boards. This is a building material that would otherwise be disposed of in landfills. During the manufacturing process, the company uses recycled water, and recycles waste instead of sending it into landfills. Moreover, Allura siding is an NGBS (National Green Building Standard) Green Certified product, and the only fiber cement siding to guarantee contribution to LEED® (Leadership in Energy and Environmental Design) credits on every project. Out of all siding materials, fiber cement has been proven to provide the best ROI for the past 7 years in a row. According to Remodeling Magazine, which closely examined 35 home improvement projects, fiber cement siding provided an 84.3% return on investment! 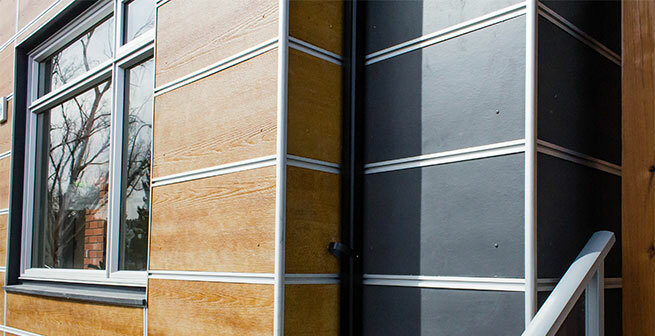 There are also a variety of widths and lengths available, so that you can really customize the look of your siding. If you are looking for a fiber cement product that most closely replicates the look and feel of wood, Allura is the best choice. The realistic look is achieved through a deeper embossing process, in which the wood grain pattern is transferred on to the siding from real cedar boards. Compared to Hardie, Allura fiber cement siding has far fewer boards with duplicated wood grain patterns. As a result, your siding really looks like natural wood. Compared to Hardie siding, Allura has been shown to be less likely to fracture or break upon resistance. Testing shows that compared to other fiber cement siding products, Allura siding is more resistant to heavy rain, high humidity and extreme cold temperatures. 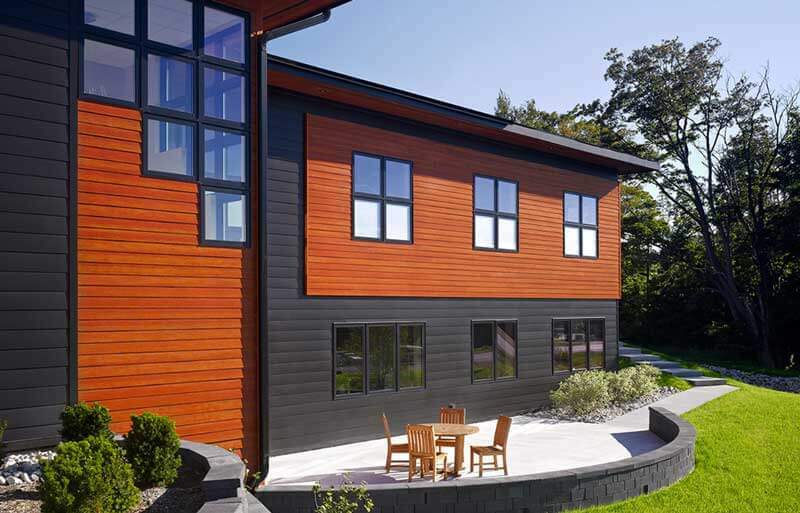 Compared to wood siding, Allura is impervious to rot, warping, decay, moisture and wood-boring insects. It has a Class A Fire rating, which means it is none-combustible. The reason why most people have not yet heard of Allura is because it is so new to the fiber cement market. The company was launched in 2013, when CertainTeed sold its fiber cement siding division to Plycem, a company primarily famous for its trim products. Plycem is a US division of a global building product corporation from Mexico, Elementia. Before the Allura product line was launched, Plycem invested heavily into research and developmet. As a result, they were able to come up with many improvements that bested the industry’s pioneering brand, James Hardie. In 2014, Allura had 3 fiber cement plants in the USA, but by 2016, there were already 13 plants, and the company is continuing to grow. Right before CertainTeed sold its fiber cement division to Plycem, there were a lot of serious issues with their siding products. 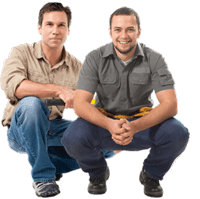 Right before the sale, CertainTeed settled a huge class action law suite. After the company transferred hands, the formulation of the siding has been significantly changed. While Allura fiber cement siding may not have the same issues as were present in CertainTeed, the product is still only a couple of years old to really know how it will fair long term. If you prefer a more trusted, well established brand, we recommend going with either James Hardie or Nichiha siding. We also recommend asking for the advice of your siding contractor about which product fairs better in your particular climate.